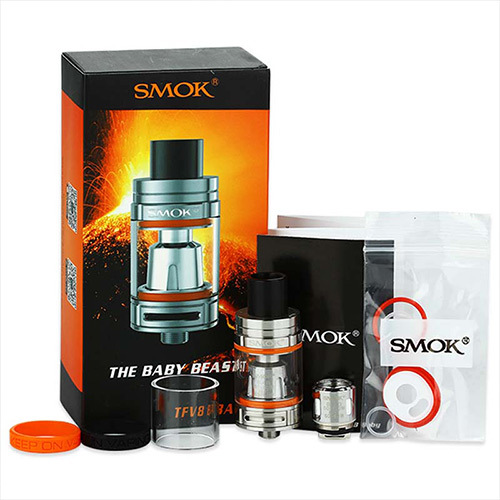 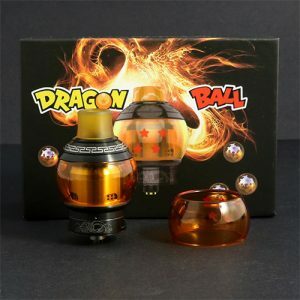 The TPD compliant version of the Smok TFV8 Baby Beast, with the use of the same coils but the only difference is the 2ml liquid capacity. 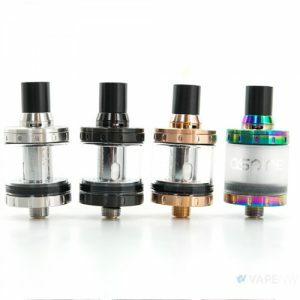 Features a 22mm diameter, 50mm height, adjustable airflow and an easy-to-use top-filling system with a lock. 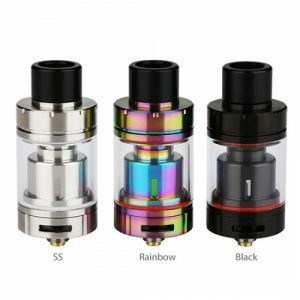 1 x V8 Baby – Q2 (0.4Ω Dual Coil Pre-installed) and 1 x V8 Baby – T8 (0.15Ω Quad Coil). 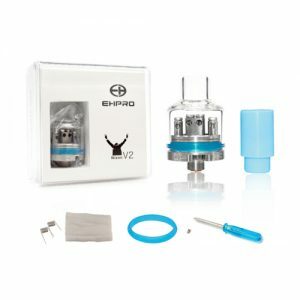 Includes a replacement Glass Tube and various other spare parts.